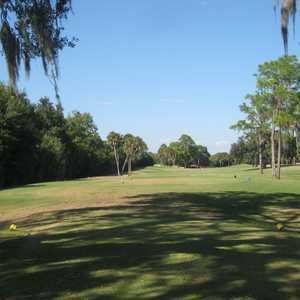 SARASOTA, Fla. -- The golf courses in Sarasota aren't particularly long, but that doesn't mean they don't pack a punch. The home stretch at Misty Creek Country Club really starts on No. 15, the toughest hole on the course. Although few of them hit the 7,000-yard mark, water comes into play on all of Sarasota's finest courses. That can make for a very difficult final three holes, when every stroke counts and can make or break your round. Here are some of the best closing stretches of golf in Sarasota. The home stretch at Misty Creek Country Club really starts on No. 15, the toughest hole on the course. It offers a big challenge off the tee with a hard dogleg left over trees. A long drive of about 250 yards can clear the dogleg, setting up a short approach to a large green, but staying safe and playing to the turn is usually the best bet. No. 16 is another dogleg left, though not as severe. Keep the driver in the bag on this one because going too far off the tee on this 309-yard par 4 will lead you out of bounds. There is a bunker on the left of the green with a pond that runs down the left side of the fairway, so trying to cut the dogleg might not be a good idea. With bunkers on the right and mounds on the left, the 211-yard par-3 17th requires a tough up-and-down if you miss the green. The green is small, so take care off the tee. The closing hole is another dogleg left that plays to 404 yards. On the approach you face bunkers on the left and woods to the right. 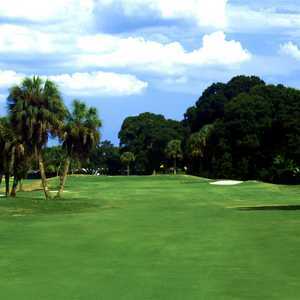 Tatum Ridge Golf Links, which plays as much as 6,745 yards from the tips, is one of the toughest courses in Sarasota. The 16th is a 467-yard par 4 with trees that line the left side and out of bounds to the right. The green is flat but small. Getting out with a two-putt for par is a great escape. The 212-yard 17th has trouble everywhere. Tatum Ridge staff member Chuck McKernan said it is the toughest par 3 on the course. There are bunkers all around an elevated green. Hit it to the front, because there is a huge ditch behind the green that leads to a blind up-and-down. The 431-yard 18th has water all the way down the left side and out of bounds to the right. It's best to play it safe. The green is small. Bring the sand wedge because there is plenty of sand. 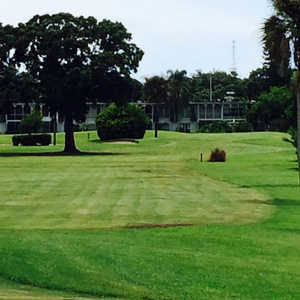 Sarasota Golf Club is one of the oldest in Sarasota County, but it has kept up with the times. The closing stretch still is one of the toughest around. No. 16 is a straight 373-yard par 4 with bunkers surrounding the green. A bomber can thrive, but it's the short iron game that makes for a nice score. No. 17 is a dogleg left. At 359 yards, a driver/wedge can get you home, but look out for the heavily bunkered green. No. 18 is a 430-yard par 4 that forces a drive through a chute of trees. It's straight, but there are bunkers and water on all sides. Bent Tree Country Club offers a tough choice on No. 16. You can go over the trees by hitting it at least 250 yards to set up a simple approach on the 352-yard par 4. Most golfers, however, choose to play it about 200 yards off the tee and leave about 150 yards for the approach. That's followed by the 148-yard par-3 17th, which has two bunkers to the right of the green and a creek on the left. The green is large enough, but the tee shot goes through a chute of trees. No. 18 is a monster with a double dogleg that runs 520 yards. There's water on the right off the tee and water on the left on the approach. The par 5 is reachable in two, but it requires about 270 yards off the tee (to clear the water hazard on the right) and another 250 to reach the green. There's a three-tiered green that makes an eagle almost impossible if you end up on the wrong tier.